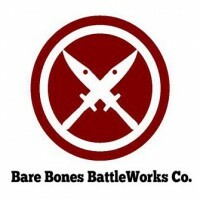 Vendor Info: Bare Bones BattleWorks Co.
We are a small wargaming company that builds tournament carrying trays, and we also sell our own miniature carrying bags and pluck foam. The Battle Bag Black Friday Sale! Posted by Bare Bones BattleWorks Co.
No Comments on The Battle Bag Black Friday Sale! The Battle Bag Year End Sale. No Comments on The Battle Bag Year End Sale. The two week “Battle Bag Completes” sale is starting today. No Comments on The two week “Battle Bag Completes” sale is starting today. The Battle Bag sale ends at midnight tonight. No Comments on The Battle Bag sale ends at midnight tonight. Black Friday week is starting early! No Comments on Black Friday week is starting early! Bare Bones BattleWorks Co. gift cards are ready for the Christmas season. No Comments on Bare Bones BattleWorks Co. gift cards are ready for the Christmas season. Bare Bones will have a week long Black Friday sale! No Comments on Bare Bones will have a week long Black Friday sale!